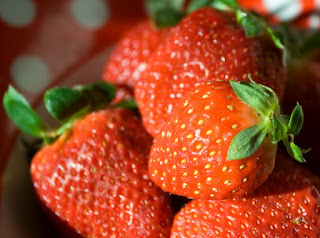 Ahhh... spring time and the strawberries are bountiful (and in most cases on sale) at the store. I always get roped in by the deals and buy way too many strawberries. I don't mind though, extra strawberries means baking and I really love to bake. Is there anything better than the smell of strawberry cake cooking in the oven? Try out this recipe and you tell me. Preheat oven to 350 degrees F. Butter and flour (I use Baker's Joy, works like a charm) an 8-inch loaf pan. Cream the butter and sugar with a mixer until light and fluffy. Add the egg yolks, one at a time, beating well after each addition. Gradually add the flour and blend well. Stir in the vanilla and almond extract, and set aside. Add the salt to the egg whites, beat until you have stiff peaks. Delicately fold first the egg whites and then the strawberries into the batter, until blended. Pour the batter into the prepared pan and bake for 45 to 55 minutes, until a knife inserted in the center comes out clean. Leave in the pan to cool. Once cool, invert onto serving plate. 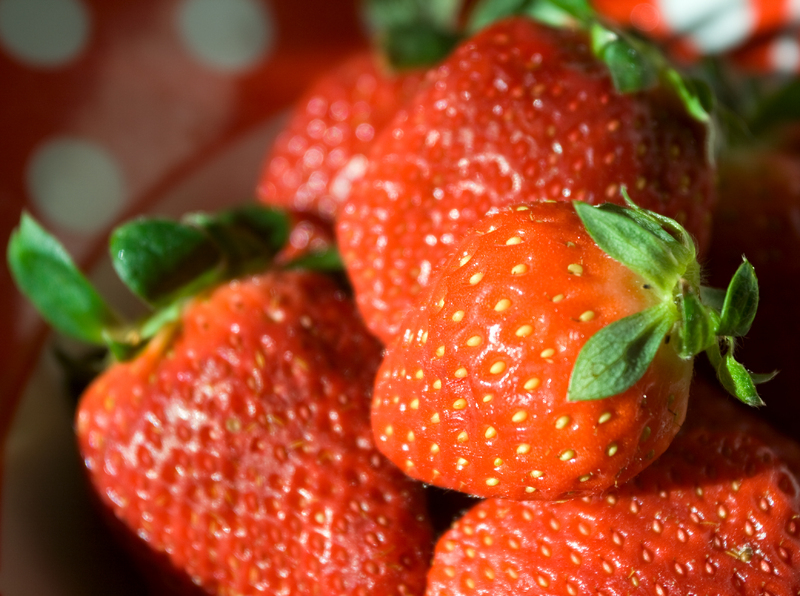 To make strawberry puree, put 15 strawberries in a food processor and pulse until smooth. In a small bowl, stir in honey and powdered sugar into the strawberry puree gradually until the icing reaches the desired consistency and sweetness (taste often, as if that's a problem). Drizzle glaze over top of cooled cake.